If you feel December is the most wonderful time of the year for…spending, you are not alone. There are so many ways to show some Xmas spirit & spread the love, that breaking the bank for presents shouldn’t be one of them. This is why we’ve created our very first Xmas Gift Guide: Best Presents Under $25, to help you out. Whether you’re looking for some great ideas for your family, hubby or Secret Santa at the office, you’re in the right place for unique gift proposals, all under $25. They will work great if you are on a budget, or if your list of friends is a big as Santa’s. You have below our selection of present perfect suggestions (the product titles are clickable and ready to take you to the source :D), all you have to do is decorate the house with joy, laughter, and good cheer. This speaker makes all the big boys look silly, honestly. The whole name says it all: Anker SoundCore Bluetooth Speaker with 24-Hour Playtime, 66-Foot Bluetooth Range & Built-in Mic, Dual-Driver Portable Wireless Speaker with Low Harmonic Distortion and Superior Sound. They come is a variety of colors, all foldable, lightweight & high quality. Music lovers, people from the office, students of all ages will appreciate such a gift. For tidy tech lovers & Apple fans, this is a safe bet when it comes to gifts. 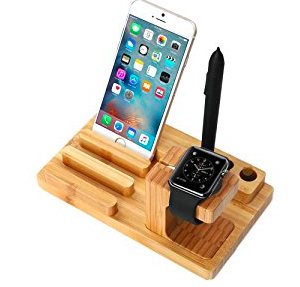 Perfect for the office, dorm, kitchen, and bedroom, it could not only work as a beautiful house decoration but also help you safely use your watch while charging – so yes, this is appropriate for an interesting mix of people. You can also choose this one, that is compatible with more devices, not just Apple ones. Never lose your belonging again with this little fellow. Can’t find your phone? 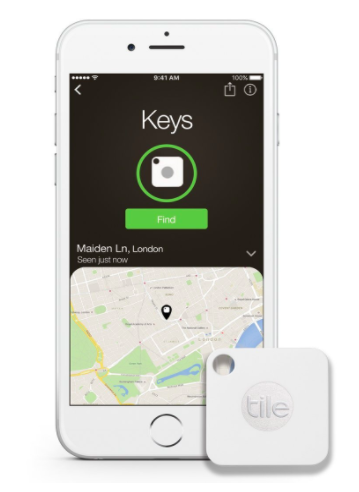 Simply double press the button on your Tile Mate to make your phone ring -even on silent! You can easily hook it onto your keys, luggage, bags, or anything else you never want to lose. It Works on Apple iOS and Android devices with Bluetooth 4.0 or BLE. VR is actually just another name for FUN. 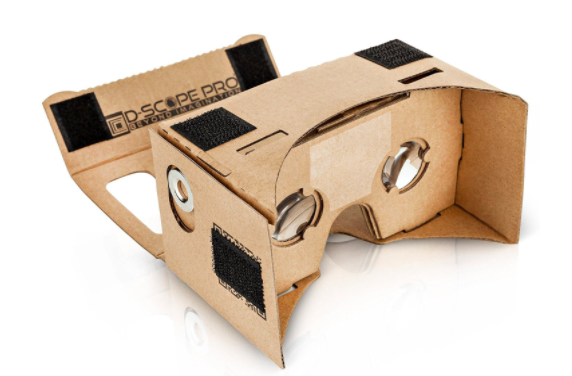 If you love tech & want more cinematic experiences, but find that your smartphone screen is too small, you’ll love this gadget. Fun for kids, teens, and techies. This category needs no introduction since we all have that fun loving friend, coworker or cousin that always appreciates a good sense of humor & an unexpected quirky gift under the tree. Fun in the shower is underrated & some people need a funky accessory to go along their playful personality and karaoke skills. Sure, it’s silly and cute, but our suggestion is to add something else to the whole present. The more things you get to open, the merrier! We are bookworms and Xmas seems to be amongst the perfect occasions to spread the love for books, reading & helping a dear one find inspiration, life hacks or some quality time. 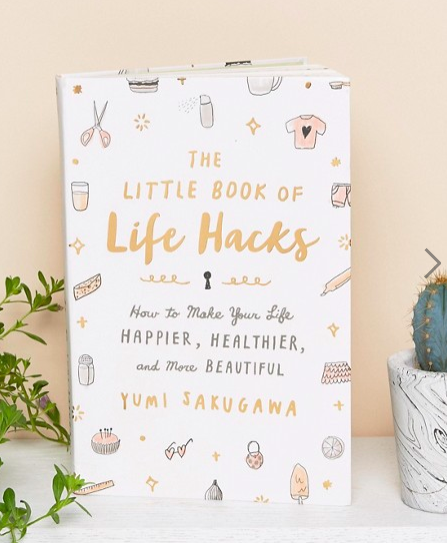 Our pick includes clever ideas to improve your home life, creating fun and artsy DIY projects that can brighten your living space, but if you have friends in need of some life advice, you can choose from this list of 25 Best Books on Self-Improvement. 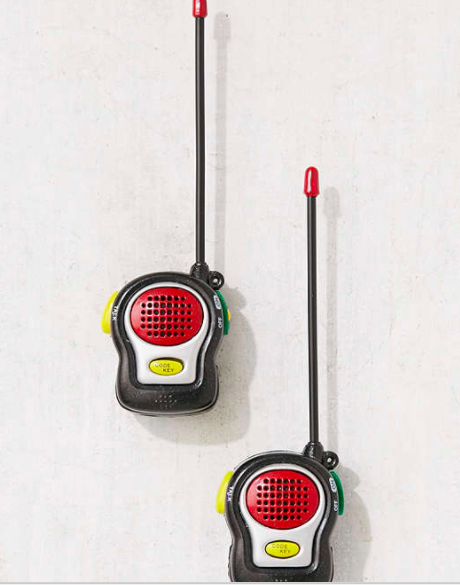 Christmas is about childhood fun, after all, and what says old-school giggles better than a walkie-talkie? 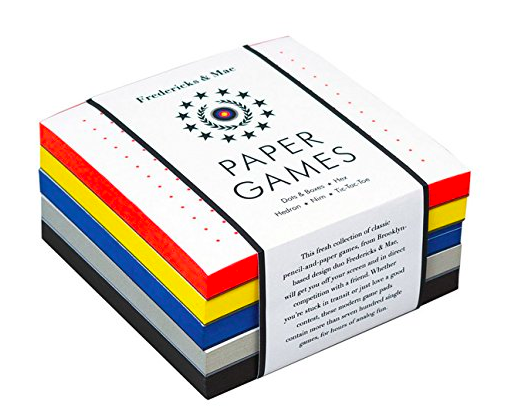 Perfect for father & son activities, or just for bringing back memories to hipster friends, don’t you agree? If you’re doing Christmas with all of your brothers and cousins, a gift like this means instant fun. Before you ask, YES, this glass can fit the entire wine bottle! No other description needed, right? 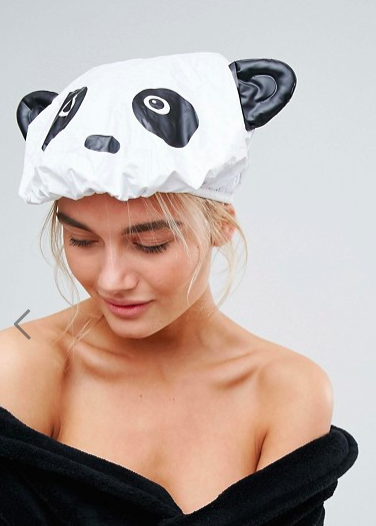 Very useful for girl night outs so you can totally wrapp it up for your girl friends, Secret Santa gifts, for that party loving friend that texts you every Friday night about going out for a drink, or that cheerful funky aunt. We all have that one coffee lover friend, that starts every conversation with “But first, coffee”. 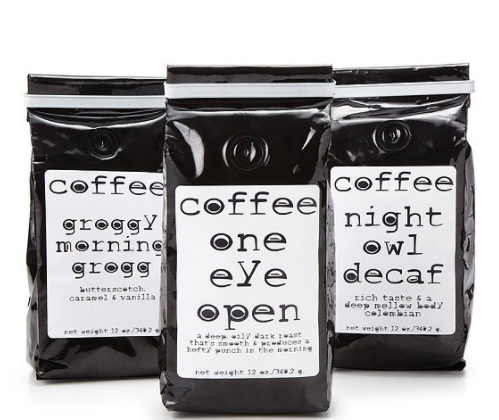 This is perfect for people who enjoy a good cup in every moment of the day. Suitable for kids, families & people that are always up for a good game. The set includes five two-player games, some familiar and some new: three-dimensional Tic-Tac-Toe, Dots & Boxes, Hedron, Nim, and Hex. Each pad has 150 sheets for a total of 750 single games, enough to keep players of any age happy for hours! Women are hard to please and there is no other task that kills men easier than having to go shopping for their ladies, especially on a budget. Luckily, you have here some suggestions that will smooth the way this season, spare you some time & money, since all of the items listed below can be found online, and help you with the process. Just remember, they like everything with a personal touch, a cute message & lovely packaging. 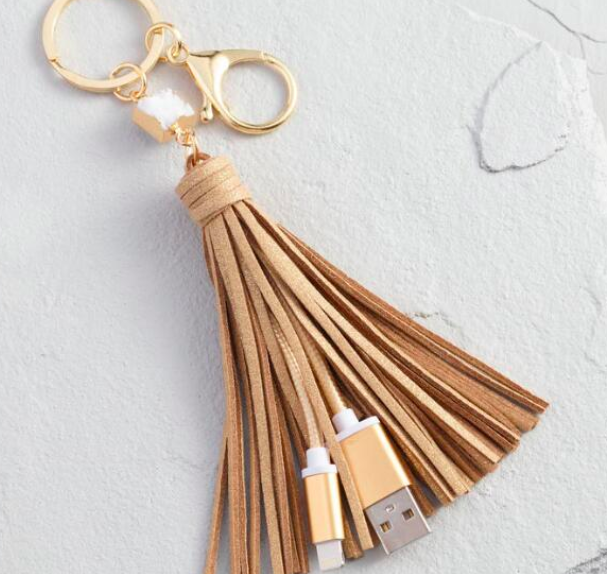 This will be awesome for anyone that is always losing her keys and that is constantly asking others for a charger. The USB-C Lightning cable adapter connects iPhone, iPad or iPod to a USB port for syncing and charging, aka stylish & useful. Perfect for your teen daughter, right? This is a timeless cool factor statement that goes with everything. Retro look, with that digital dial face, water resistant. 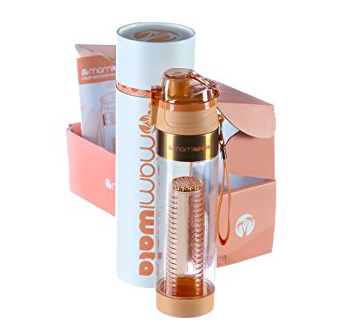 The design, the packaging, the gift box that comes with it – it all screams luxury and pampering, at an unbeatable price. These fruit infusion water bottles let you add a twist to hydration, it’s fancy and very practical. Unexpected, but true: women love PJs, one never can have enough! Cozy, fluffy, festive, family pj, nightgowns, funny, you name it, they’ll love them. Target has a nice selection, but you can find cute ones at Victoria’s Secret, Nordstrom, Macy’s and just about everywhere! Good part: ‘tis the season for sales, too! 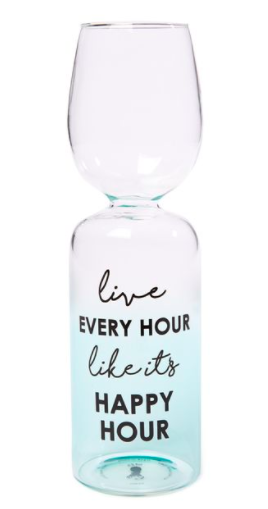 Great for nieces, daughters, artsy colleagues and friends that could use a timeout and a fun way of taking a break from all the stress, screens and fuss our daily activities are all about. This has become a worldwide trend for stress management with amazing benefits. For more variety, check out the best coloring books for adults here. 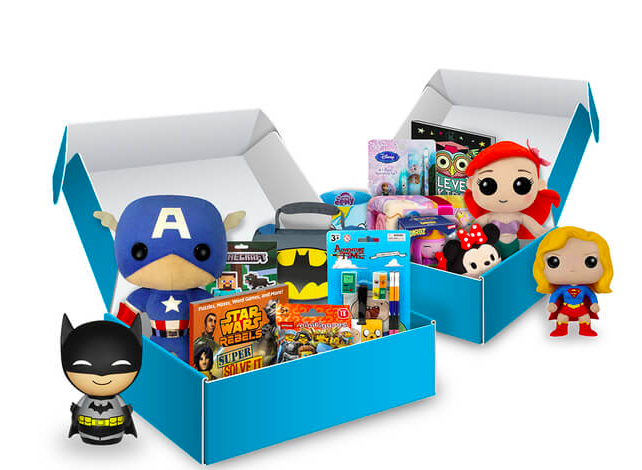 Fun and educational geeky items designed to excite, thrill and engage your child! Suitable for ages 5-11, with a touch of mystery added to the content of the box, just like every Xmas present should have! We know some grown ups that will jump up and down and go crazy over this book, too! Any other Harry Potter book is perfect as a Christmas present, this being the right time to introduce little ones to the amazing universe of magic! 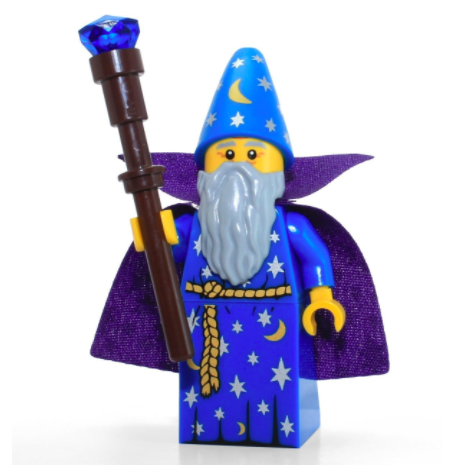 Yet, this time, our favorites are the Collectibles LEGO Minifigures. Buy them together, make your own story, enjoy them with the kids! Anything that can hatch is intriguing and fun! Hold the egg in your hands, rub the heart and when it changes from purple to pink, you know it’s ready to hatch! Gently press to crack the egg and discover the Hatchimal CollEGGtible inside. Ridiculous mouthpiece challenge? Bring it on! The Speak Out game brings families together for laugh-out-loud fun as players try to say different phrases while wearing a mouthpiece that won’t let them shut their mouth! Believe us it was hard to stop adding things to the list, but we hope we got you thinking your shopping list this Christmas. We leave you with all the warm & cozy thoughts an article can bottle in, hoping that you will find exactly what you wanted under the tree, but most importantly that the joy of being together and of others loving what they unwrap will fill your heart and home all year round! PS: If you have other suggestions for great gift ideas, feel free to share them with us and let’s make this Xmas Gift Guide: Best Presents Under $25 better and bigger every year!